In this lesson you are going to learn how to connect your sensor to the network and make it publish data. You will see how it is easy to become a member of a global sensor network! 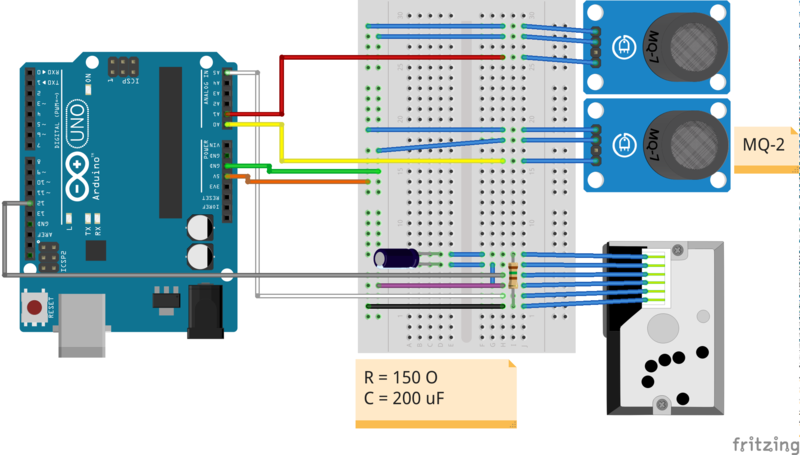 A firmware for Arduino Uno is in sensor_city/scetches folder. In order to upload it to the board use Arduino IDE. 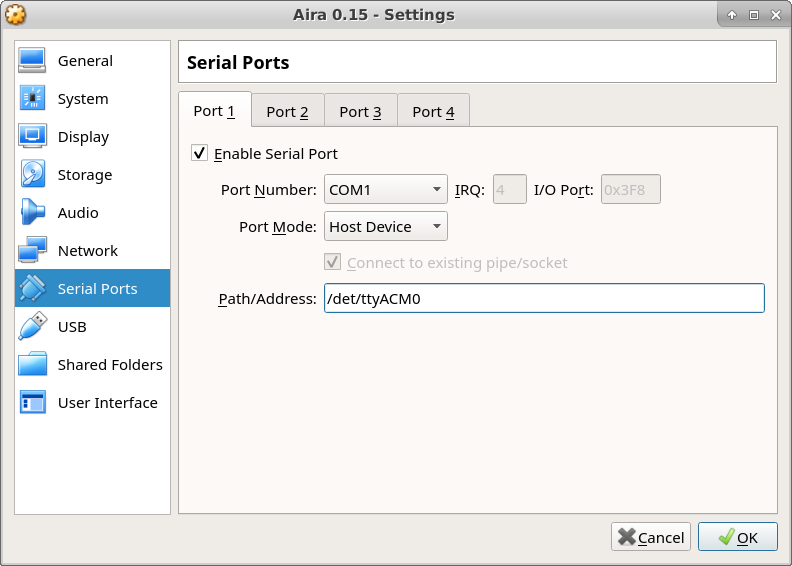 After you have imported the image to VirtualBox, connect Arduino via USB to your PC and enable serial port forwarding. You should check Enable Serial Port and assign /dev/ttyACM0 in Path/Address . Inside the virtual machine /dev/ttyS0 refers to your external Arduino. 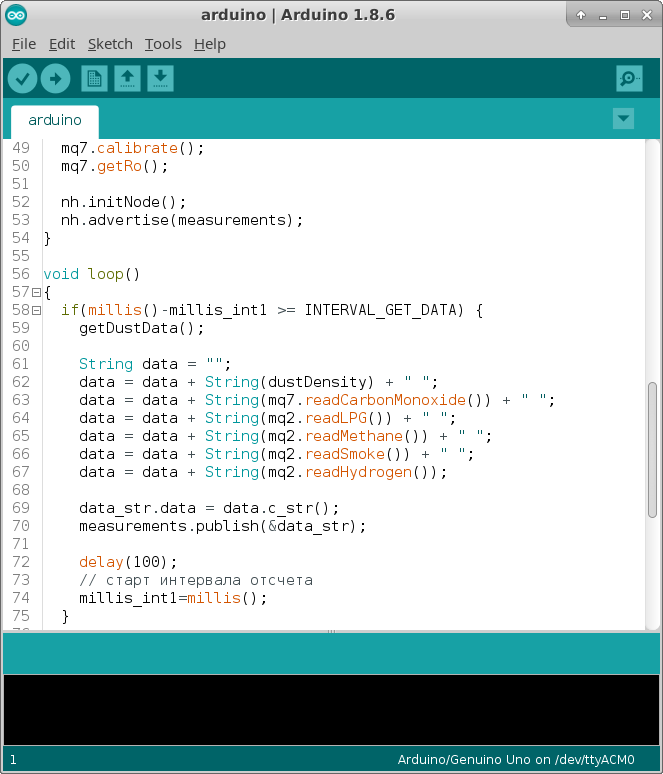 Check out the source code to learn how it works under the hood! Now Aira patiently waits for a signal to publish the measurements. Go to Dapp and click on Broadcast signal . You should see the data!